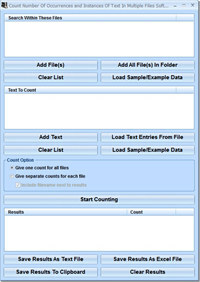 This software offers a solution to users who want to count the number of times specific text appears in multiple files. Simply drag and drop the files you want to look in, add the text or text sets you want to find and click start to return counts. There is a feature to save results as a text, excel file or copy results to the clipboard. Count Number Of Occurrences and Instances Of Text In Multiple Files Software is an utility that works under windows xp, windows vista and windows 7. It supports both 32-bit & 64-bit windows editions, therefore it could run faster on 64-bit computers. Estimated download time for Count Number Of Occurrences and Instances Of Text In Multiple Files Software on a common adsl connection is less than a minute. 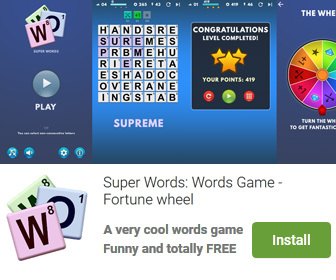 Version 7.0 was released two thousand nine hundred forty six days ago by Sobolsoft. Click the green download button to download it now.